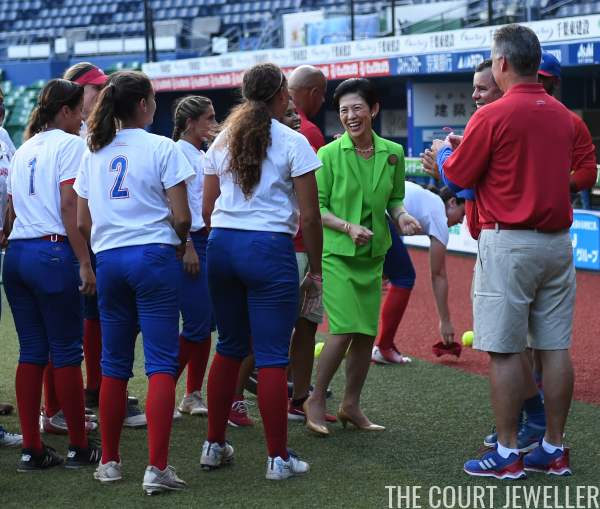 Hisako wore golden earrings and a coordinating necklace to attend a playoff round match between Japan and Puerto Rico on day nine of the WBSC Women's Softball World Championship. The necklace features pave-set stones on some of its links, likely small diamonds. 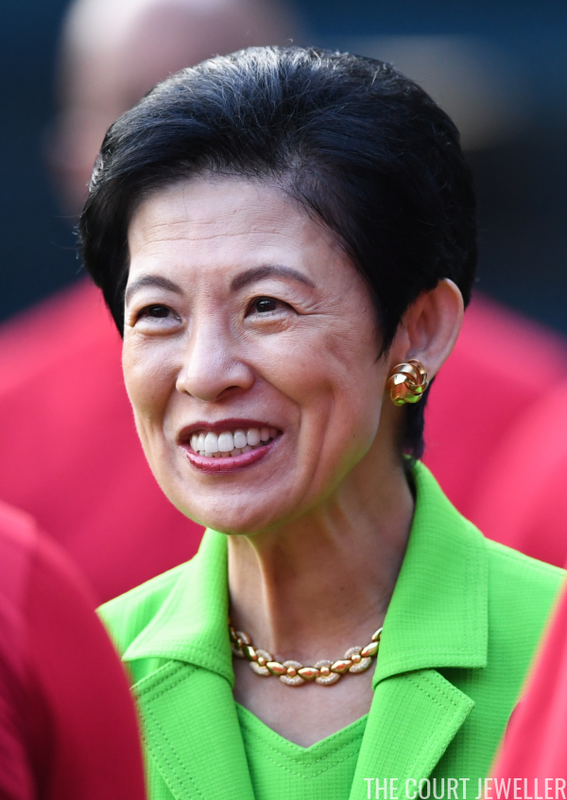 On her jacket, Hisako pinned a round brooch with a nature theme. 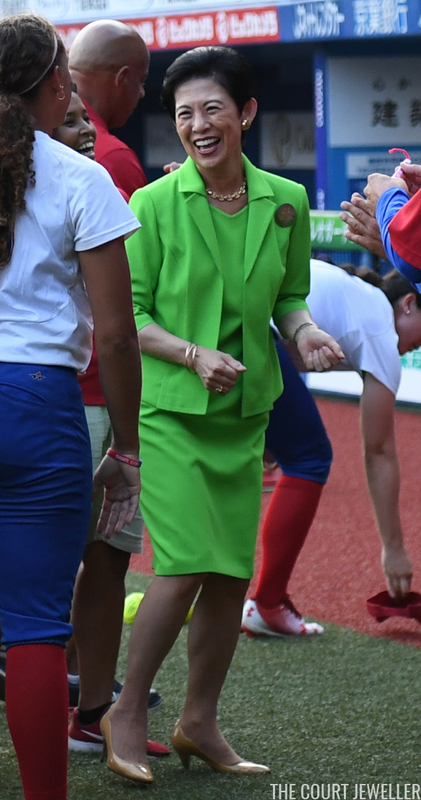 Coordinating golden bangles were visible on her right wrist as she greeted players from both teams. Here's one more look at Hisako's jewels from the event. 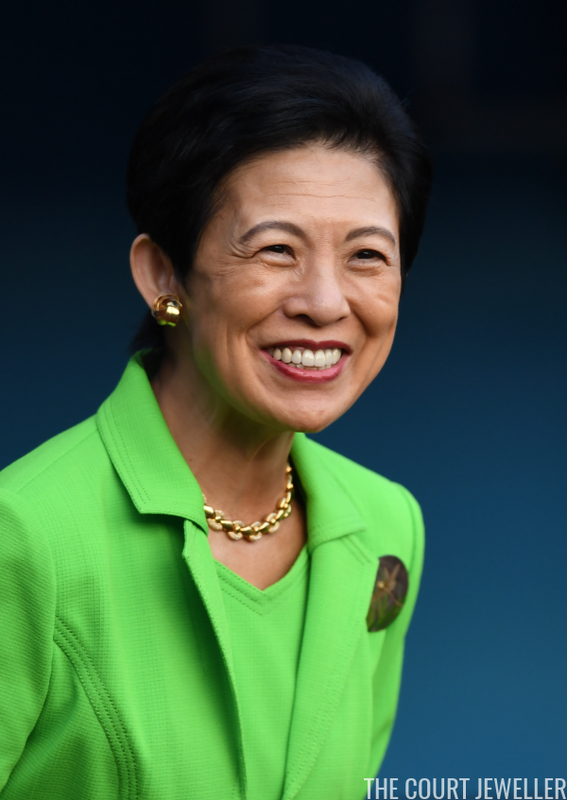 It's been a busy weekend for the princess -- on Sunday, her youngest daughter, Princess Ayako, became officially engaged to Kei Moriya following an official betrothal ceremony, the Nosai no Gi. The couple is set to marry on October 29.